Backwall kits offer the best way of remodeling the walls in the bath areas and can go a long way in enhancing the interior décor of a house. There are different categories of backwall kits produced by Home Art Tile Kitchen & Bath. The first category is the back walls kits-optional base that consists of Qwall-2, Qwall-3, Qwall-4, Quall-5 and Qwall-Tub. 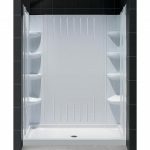 Qwall-2 is a shower backwall kit that is white in color having 3 integrated shelves and a convenient corner for rest. It has unique watertight connections of sidewalls, corner panels and back panels. They can be trimmed to size with a width of 297/8”, length of 401/2” and a glass height not exceeding 727/8”. Its acrylic wall systems are uniquely created, as they can be installed on any existing solid surface though not directly against studs indicated with the optional base. Qwall-3 backwall kit has 6 integrated corner shelves having 2 sidewalls, 2 corner panels and 1 back panel. Qwall-4 consists of 2 glass corner shelves with an attractive tile pattern similar to Qwall-5. The Qwall-Tub is white in color. It is made of ABS construction/durable acrylic with a depth that can be trimmed to 32” to 28” and the width trimmed to 591/2” to 56” with height of 60”. In addition, it has other features are similar to the Qwall-2. The second category is the complete kits that include items like Flex, Visions, Infinity-Z and Butterfly. It also consists of Prime, Solo, and Conerview. The items under this category share a number of features. 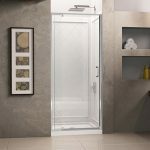 The flex item is offered in three types, which are Flex Shower Door, Qwall-5 Shower Backwall Kit, and Single Threshold Shower Base. Flex Shower Door is made up of ¼” of clear tempered glass with a frameless glass design and a chrome hardware finish. Single Threshold Shower Base is white in color and is made up of slip resistant acrylic and fiberglass reinforcement for durability purposes. Qwall-5 Shower Backwall Kit is created with durable acrylic having 2 glass corner shelves with a trim to size design for the sidewall. Shower base & wall kits category includes Qwall-2 Quarter Round, Qwall-2 Neo, Qwall-2 Double Threshold and Qwall-4 Double Threshold. In addition, Qwall-3 with Base, Qwall-4 Neo, and Qwall-4 Quarter Round fall under this category. 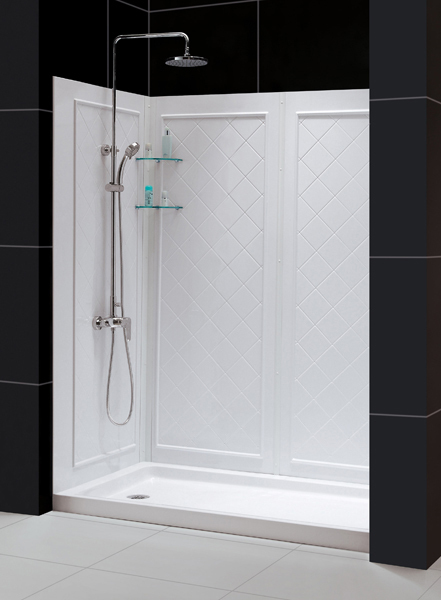 The Shower base & wall kits category items are used in the shower rooms. Qwall-2 Quarter Round has various items that include Quarter Round Shower Base as well as Qwall-2 Shower Backwall Kit. They are white in color and made up of high quality stain and scratch resistant acrylic. Fourth is the Tub Door and Backwall Kits category that has Infinity-Z, Visions, Duet and Charisma, which are designed with guide rails. Infinity-Z includes the Qwall-Tub Backwall Kit and the Infinity-Z Tub Door that is made up of a 1/4” of clear tempered glass and a chrome hardware finish. It also has a convenient bar for hanging towels found on the outside of the panel. The last category is the Tub to Shower Conversion Kits that consists of Qwall-3 and Qwall-5.